Cheetah will be exhibiting two catamarans on the water at the TheYachtMarket.com Southampton Boat Show. The 9.2m Topcat is built and equipped as a leisure dayboat, and with twin 250hp is well suited to exploring the south coast from her base in Poole. By contrast, the Five Bells is a 10.2m craft, designed and built as a specialist dive vessel for the Yorkshire and Humber Police Underwater Research Marine Unit. Taking advantage of the commercially proven hull, the vessel can carry divers and equipment in severe sea conditions. With a role including search and rescue, the boat will cover a wide area of the coast off Yorkshire and Lincolnshire together with rivers and estuaries. The boat is powered by twin 300hp Mercury Verado engines and features a large stern platform with stern ladder, side door and tow sling attachment. 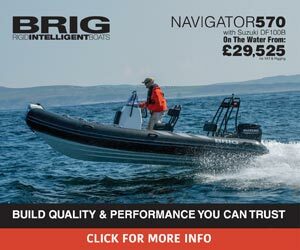 Visit www.cheetahmarine.co.uk to find out more.